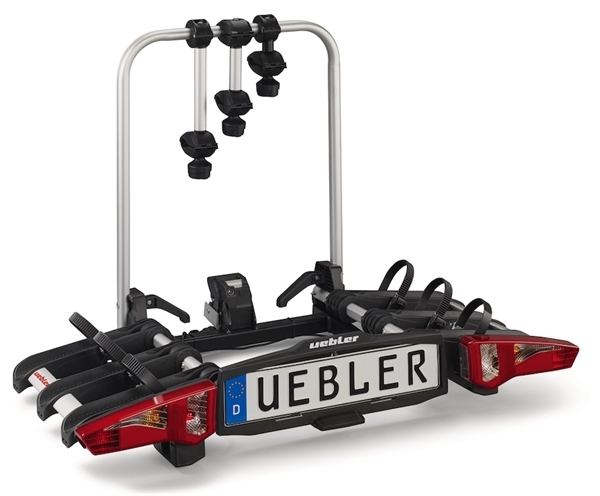 Product information "Uebler i31 Tow Bar Carrier for 3 Bikes"
The smallest and lightest bike carrier by Uebler allows the transport of e-bikes with a weight of max. 18kg per transport rail. Removable spacer with anti-theft protection, fold down the carrier via a foot pedal are useful features of the Uebler i31. Related links to "Uebler i31 Tow Bar Carrier for 3 Bikes"
Customer evaluation for "Uebler i31 Tow Bar Carrier for 3 Bikes"